Are you a competitive person? Do you like to win? To really win? Only first place will do for you, no sportsmanship awards around here. If you like the adrenaline of competing, are a founder of a startup or growth stage company, and live in a city with a burgeoning or thriving startup community, you will likely find yourself enrolled in a pitch competition. Since you’ve gotten yourself into this position, let’s make the most of it. Today, I’ll be talking about how to make sure that you win that pitch competition you have coming up! What is a pitch competition? Let’s start off by taking a step back. What exactly is a pitch competition? And why would a founder sign up to compete in one? Well, over the last 5-10 years, thriving startup communities have grown in more and more cities around the nation & the world. In response to the need to practice and prepare for investment pitches, and the benefit for often isolated founders to network with potential investors, community members, and potential teammates, the pitch competition was born. There are a lot of different kinds of pitch competitions and pitch events. They range widely in focus, audience size, competitiveness, seriousness and intended outcomes. These events are a draw for investors and the wider community to come together and see what new companies are being launched locally. For founders, pitch competitions afford an opportunity to practice the all-important startup pitch, to meet potential investors, and generate buzz about their new company. Some pitch competitions and pitch events have a panel of judges who choose a winner, some have prizes and some just dole out bragging rights. Others are geared towards giving advice and feedback rather than judgement. Some events are focused on particular industries, other on particular verticals or types of companies (ie: only startups in the food space, or only technology companies). Generally pitch competitions and pitch events give 1-10 startups 5-6 minutes to pitch their company live in front of an audience. Often they are organized by all different types of groups or organizations, some are ticketed, others free, and they are often scheduled on a consistent basis: weekly, monthly, yearly. Pitch competitions are always a blast to attend and participate in. Why should you pitch in a pitch competition? Pitch competitions and pitch events are a great way to get real-life, high-adrenaline practice when pitching your startup. Have you heard of “practice like you’ll play”? Getting up in front of strangers and speaking publicly about your company is the very best way to effectively prepare for more important (more high stakes & more nerve-wracking) pitches to potential investors. You’ll work out the nerves, remember what to say more, sound more confident and comfortable. On top of that, pitch competitions are often great places to test out new ways of pitching, new storylines and compelling arguments. The feedback you receive from judges and audiences can help you to fine tune and perfect your pitch. On top of all that, the pitch competition and pitch event has another really awesome side-benefit: Buzz. The exposure and publicity you get from pitching in a competition can be very valuable to you and your startup. I’ve seen audience members get so excited about a company they saw pitch they chose to become co-founders, team members, customers, evangelists, investors, partners, and make important introductions to people who might be those things. Sometime local niche startup press is in the room, and at larger events, bigger news outlets, blogs, and mainstream media are there looking for a great story about the next big story to share with their thousands – millions of readers. You got it right? You’re like “ok, ok” I know why I signed up for this competition. I just want to know how to WIN it. I hear you loud and clear. Here’s how to prepare for this competition to have the best chance to get the coveted 1st place prize. Read and re-read the even description. Reach out to the event organizers and make sure you know everything you can about the competition you’re enrolled in. How long will you have to speak? Do you get to use slides? What are the judges judging on? Will there be a Q&A section? What is the focus / theme of this event? What are winners selected based on? The more you know the more you can tailor your pitch to meet what they are looking for. They won’t be able NOT to give you the first place prize. Sometimes events will post / publicize the lineup for the competition. Do your research. Know the companies you’ll be pitching about. If you have a similar product or serve a similar industry, be aware of this and make sure to put a unique angle of spin on your pitch so that it stands out. Know your competitions weak points. You can use those to your advantage. Never ever badmouth an opponent or even give them any airtime during your pitch. But, let’s say they have a business model that is not very defensible, you can make sure to speak to how defensible your business model is, the unfair advantages you have built. Sometimes–but not always–the competition with post / publicize who will be sitting on the judges panel. Take a look at who they are. What is their background? What is their current role? Are they investors? Are they industry experts? What is the filter through which they will be reviewing your pitch? You can tailor what you speak about and how you speak about it in your pitch to better match their drivers and expectations. If your judges are potential customers or partners, consider talking to how partnering with companies like theirs would be beneficial for both parties. I cannot say it enough. Practice, practice, then practice some more. If you can get in front of strangers at even less high-stakes pitch practice meetups, do it! If not, ask your friends and family members to watch you pitch and give you feedback. If you don’t have that, consider hiring a pitch coach.  >>>We offer pitch coaching and review sessions that give feedback to founders on pitch content, story, deck design, and public speaking skills<<< You can even video yourself to game film your pitch and improve over time. The more you practice the more you’ll know your stuff, and be comfortable and confident when the real-deal comes. When you’re pitching your company, consider the 3 C’s. Be clear, concise and compelling. Be clear. Talk to your audience at a 6th or 9th grade level. Don’t use big words and acronyms. Don’t over-explain complicated or technical material. Make things easy to understand and short. Try to talk about your product or or service from a 30,000 foot view. It’s not important how the feature works, it’s important what benefit it provides to your customer. Be concise. You have 5 minutes to cover your entire business to the audience. You’re not going to be able to say everything. Say just what needs to be said. Keep it short and sweet. Speak plainly. Be compelling. Think about what matters to your audience. Answer their questions before they have them. Build your arguments and prove your assertions with statistics, studies and traction. Your number one goal during your 5 minutes in the spotlight is to catch and keep the audience and judges attention. If you don’t have that, it doesn’t matter how awesome your company is, they won’t hear it. In one ear and out the other. Make your pitch memorable, and people with hear you, and remember you all the way into the judges deliberation room. The best way to make it memorable is to tell a story. Make sure there is a clear flow to your pitch, tell stories about why you started the company, or customer success stories. There should be a easy to follow and exciting flow to your pitch from beginning to end. Most pitch competitions allow you to use a pitch deck presentation as a visual aid during your pitch. Since your audience will remember what they see and hear much more than what they just hear, this is extremely valuable. But, a messy, text heavy, or unappealing deck can detract from your pitch just as much. How can they hear you when they are trying to read the paragraph of text on the slide behind you? They can’t. Make sure you have a stellar pitch deck. It should be visually appealing, in brand, professional, and clean. You can use minimal animation to help hold your audience’s attention. But, don’t go crazy. No one want’s to watch a picture bounce in from the left for what feels like eternity. If you don’t have confidence in your design capabilities, work with a professional pitch deck designer to get it right. At the end of every pitch, it is vitally important that you leave the audience with some sort of call to action. What do you want them to do? If you don’t tell them, the it’s likely they will all thing “huh, that was cool.” and then immediately forget about it. Do you want a cofounder? Team members? Them to sign up for your email list? Do you want them to check out your website? Sign up for your Beta? Tell other people about you. Tell them what you’re looking for. It’s the only way you’ll get it. That said, don’t tell them to give you first place. That probably won’t work! If you don’t win, don’t sweat it! Re-read that second paragraph “Why should you pitch in a pitch competition?” There are so many wonderful outcomes that can come out of just participating in a pitch competition or pitch event in your area. If you do it right, you’ll get even more value that whatever the first prize was, or the pride you feel with that accolade. You’re trying to build a lasting and successful company. Each pitch competition is one piece of that puzzle. Never lose sight of that!